I love the unique texture that hand sanding gave this pair of earrings from our shop. I painted them with shimmery gold acrylic. Of course, they are made from recycled wood. 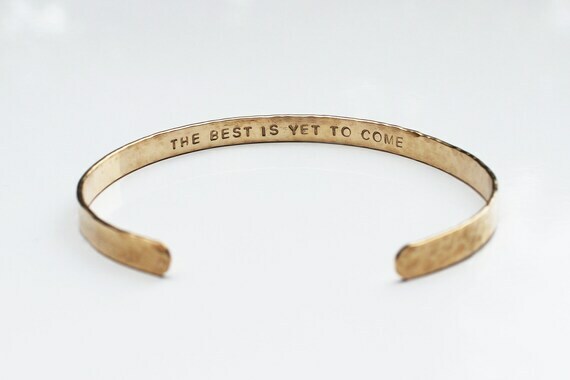 This is a custom message bracelet from Nature Vibe Jewelry, so you can request any message. I love this one though! What a great reminder! This skirt from Untitled Thoughts is made from a double knit fabric sourced remnants from a local fabric store and re-purposed fabric. Proving that you can dress fabulous and be earth conscious at the same time! Three delicate layers make up this necklace set from The Silver Wren. They are available in sterling silver, 14k gold, with more options for further customization. 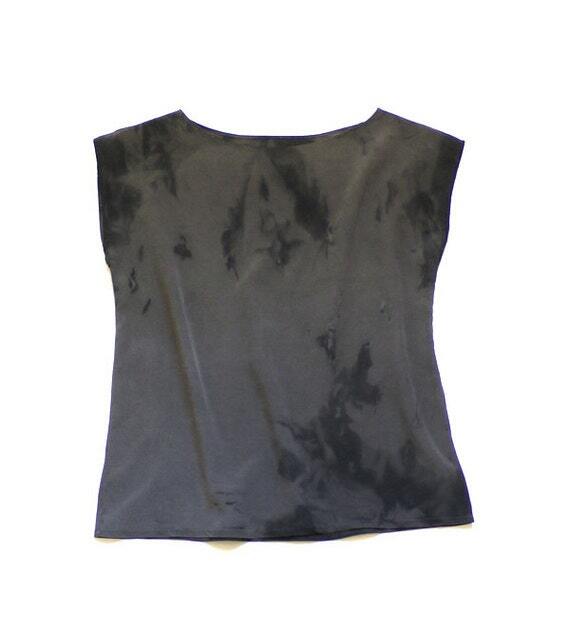 This exquisite silk blouse from XSILK is dyed used natural dyes that are safe for you and the environment. It is a good idea to have something to throw your essentials in. 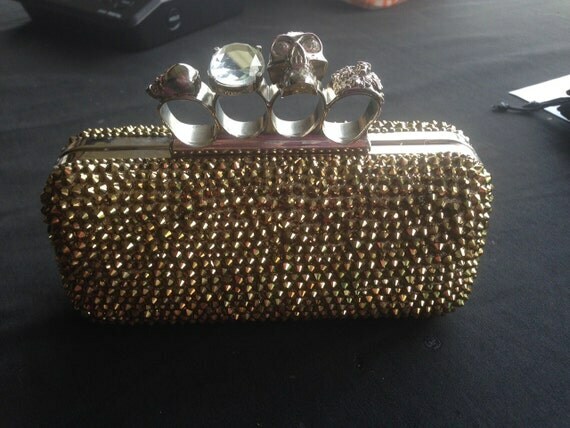 I love this designer inspired clutch from Sparkles. 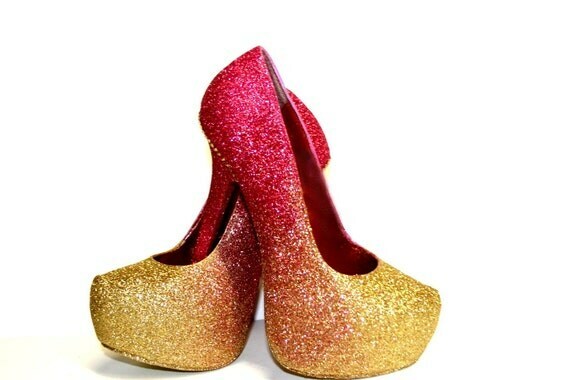 Every party outfit needs a fantastic pair of shoes. Right? This pair from Wicked Addiction has been hand painted, then adorned with Swarovski crystals and glitter. So goodbye 2015, hello 2016! If you are going out tomorrow night be safe, and no matter where you are have fun!!! Merry Christmas & Happy Holidays! With holiday gatherings in mind, I put together an outfit that is laid back and festive. 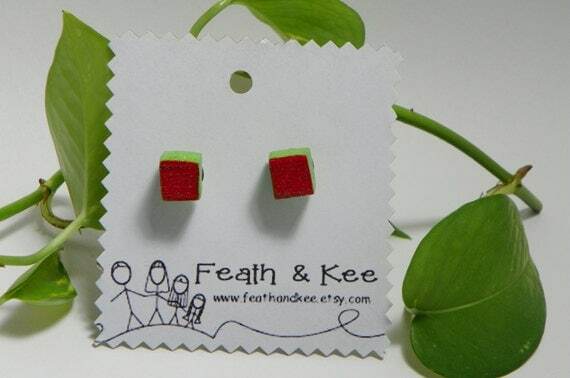 From Feath & Kee, I picked out this pair of leaf earrings. They are made from recycled wood. They are one of my favorite pairs in the shop right now. I really enjoyed making them. Even the tool that I used to create the design was handmade from re-purposed wire. They have a linseed oil finish, and stainless steel posts. I could not resist this pullover from Binna Design. 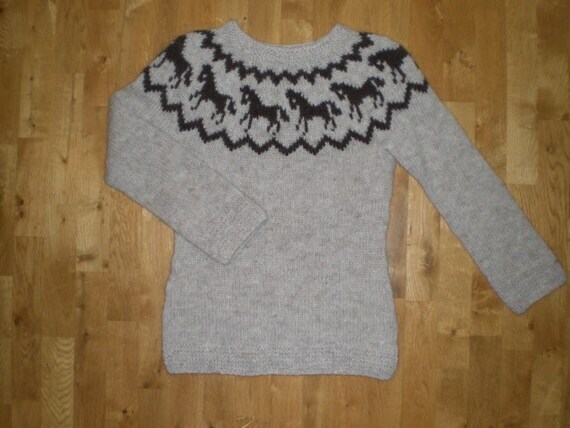 These are made to order from Icelandic wool, and you can choose from beige (as shown in the picture) or brown. 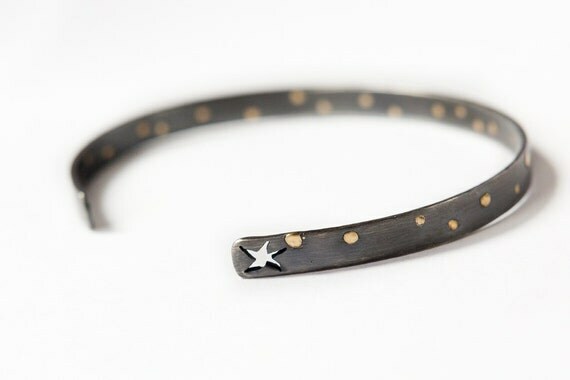 Hand forged from sterling silver and 14k gold, this delicate cuff can be found at Harmony Winters. 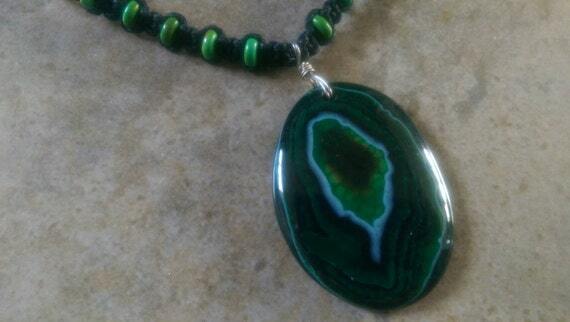 The stunning agate pendant on this hemp necklace from Creative Earth Jeweler just pops out at you. These handmade flats from Quiero June add a bright splash of red! 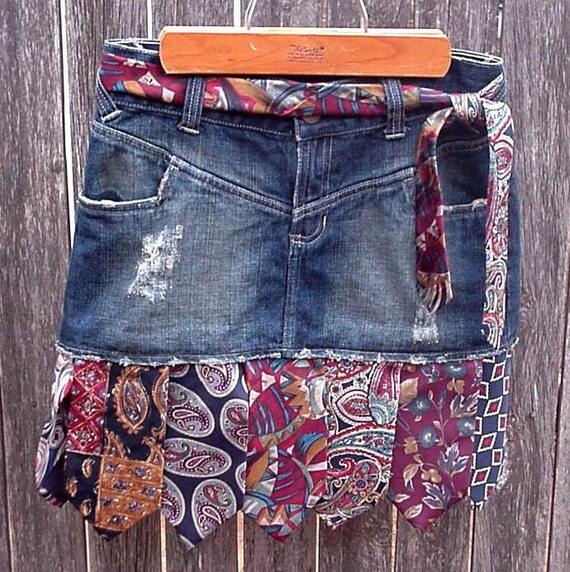 This one of a kind skirt from It's Your Country Spirit features recycled designer neckties. This pair of hand painted tights from AMI is truly a work of wearable art. With the holiday season in full swing, I put together an outfit perfect for running around doing last minute holiday errands. 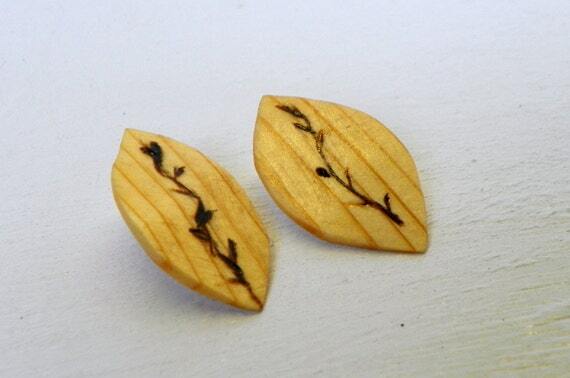 The inspiration item from our shop this week, is a pair of wooden cube earrings. They are made from recycled wood. The sides and back are a bright lime green with green glitter and the fronts are a bright red with red glitter. They are mounted on stainless steel posts. 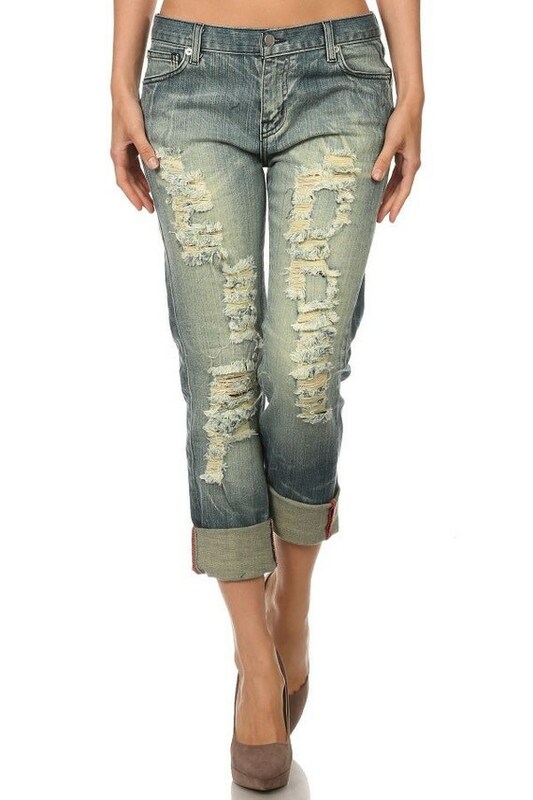 A cotton blend fabric and distressing ensure that this pair of jeans from TruLoveWorkshop will be like pulling on your favorites. 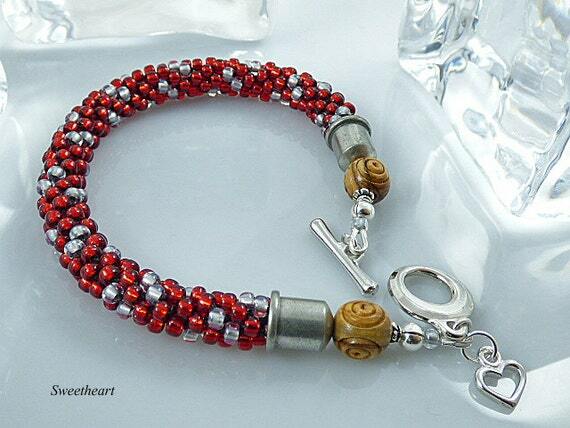 The Japanese seed beads on this Kumihimo bracelet from The Little Empty Nest remind me of sugar crystals! Not sure if you are ready for a full on commitment to the whole ugly Christmas sweater trend? 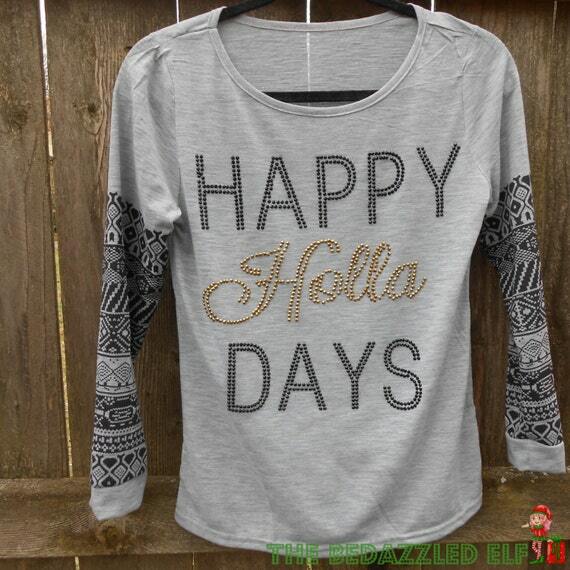 This cute shirt from The BeDazzled Elf is festive with out being over the top. Nandy's Nook always has a great selection of mug sleeves and coffee cup cozies. This rustic mug sleeve is no exception! 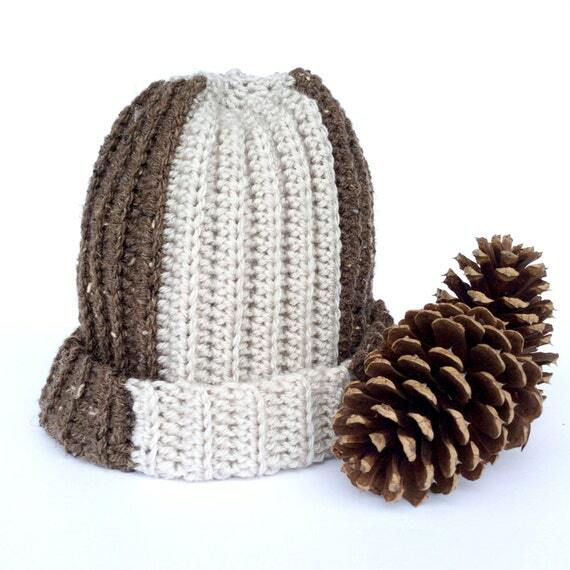 I love the neutral shades of beige and barley in this handmade hat from Loopy Chic Crochet. It will go with everything! 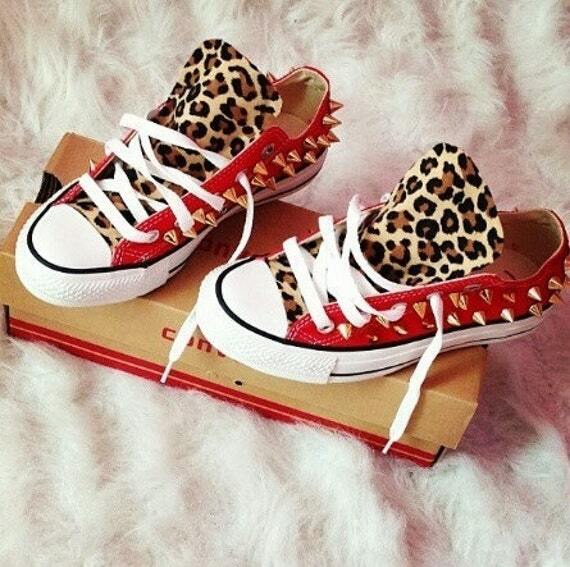 While these customized Converse sneakers are made to order, they should be well worth the wait. Get them at Free Street Shop. That is it for this week! What do you think about the layout? Hello Wednesday & December! Wow it is so close to 2016. I have another great outfit to share with you this week. So the inspiration from our shop this week is this newly listed pair of earrings. They are made from recycled pine and painted a shimmery gold. "Dark Matter", this gorgeous dress from iheartfink is made from hand printed fabric. I love the construction and how well the colors work with each other. 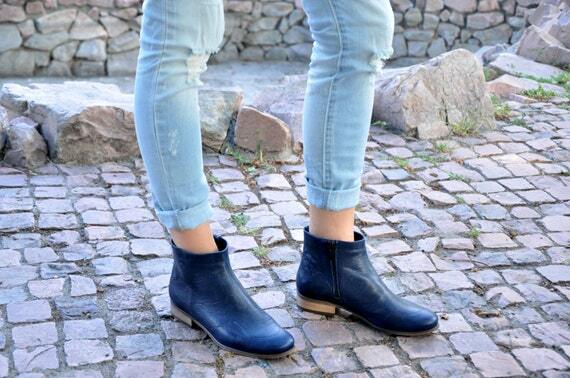 Available in a variety of colors and leathers, these ankle boots from Julia Bo are sure to become favorites. 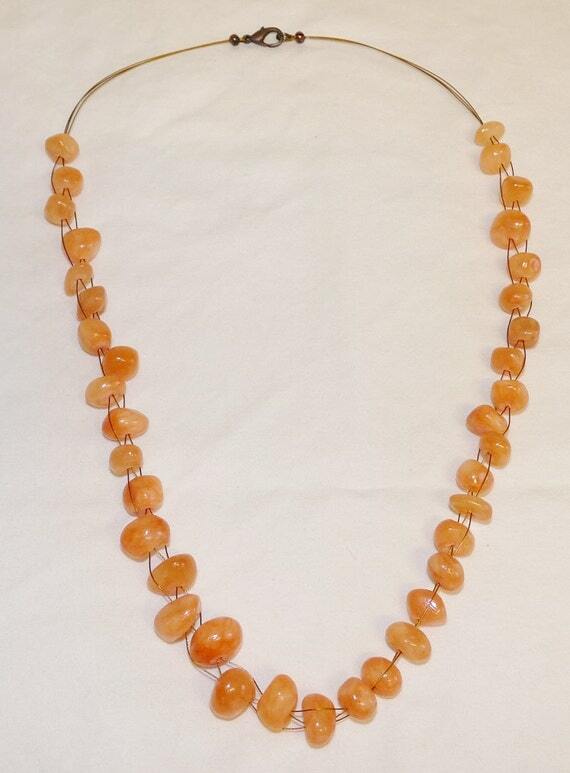 The delicate weaving truly complements the orange vermillon mashan jade beads in this necklace from Tillies Treasure. 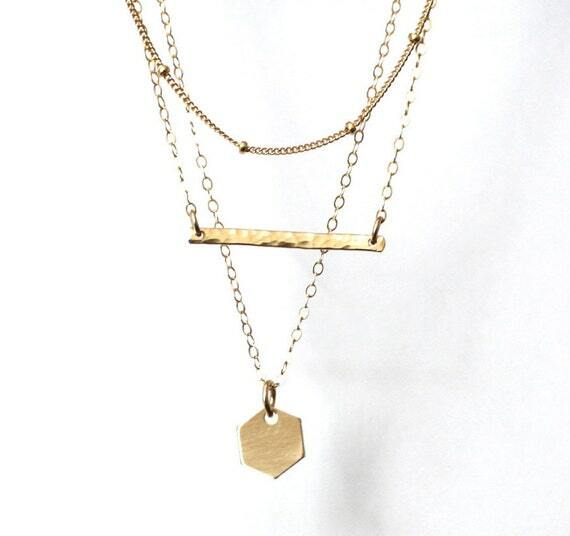 I really like versatility, and this piece from Beely Designs definitely fits the bill. 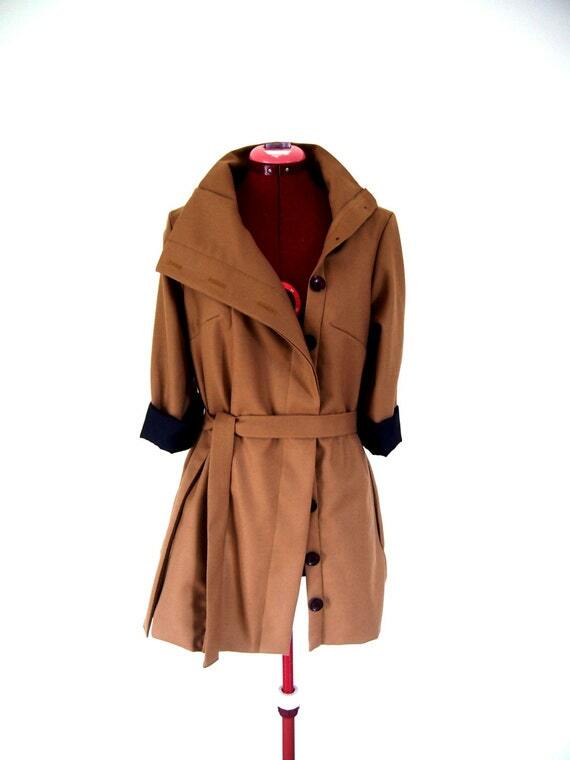 Made of medium weight wool blend fabric, it can be worn on it's own as a shirt dress, or added as an extra layer of warmth. 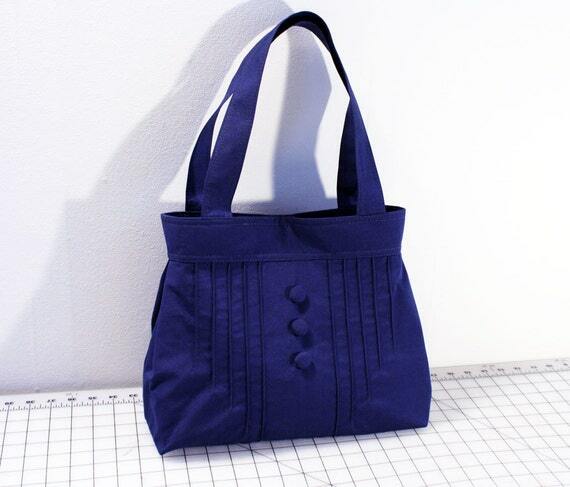 Echoing the pintucks of the Dark Matter dress, this cotton handbag from Whitney Jude will hold your necessities and go with just about anything. 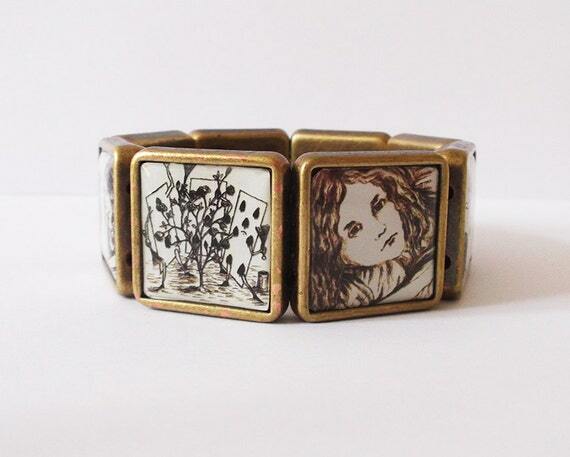 Made to commemorate the 150th birthday of Alice, this bracelet from Little Miss Made It features illustrations from the manuscript of Alice's Adventures Underground. That is it for this week! Don't forget to follow us on Instagram for behind the scenes updates, and to see items before they make it to the store.